The F-35I's, known in Hebrew as the "Adir", rollout ceremony will be held today at 10:00 AM Dallas time at the "Lockheed Martin" factory. IAF Chief of Air Staff: "I don't think it is an exaggeration to say that the presence of the F-35 in the Middle East will change the dynamic of the region for the better"
The first Israeli "Adir" (F-35I) jet, which is expected to land in Israel in this coming December, will be revealed today in a rollout ceremony in the "Lockheed Martin" factory in Fort Worth, Texas. The ceremony will be held in the presence of the Israeli Minister of Defense, Avigdor Lieberman, IAF Chief of Air Staff, Brig. Gen. Tal Kelman, and other senior representatives of Israel and the USA. "Today is a special day for the Israeli Air Force", said the Chief of Air Staff. "It symbolizes a leap in the strategic abilities of the state of Israel, and it symbolizes the partnership and unbreakable commitment between the United States and Israel, a commitment which is a strategic asset for the state of Israel". The "Adir" is a multirole stealth fifth-generation fighter jet that is expected to completely change the face of the IAF and introduce new abilities into the force. "A few months ago I had the privilege of flying the F-35 simulator here in Fort Worth", Brig. Gen. Kelman shared. "As a pilot that has flown a great variety of aircraft for over 30 years, I must share the feeling: It was like holding the future in my hands. The unique combination between split edge technology, lethality and amazing man - machine interface will lead the world to the fifth generation". "The F-35 which will be received by the IAF with open arms this coming December, will substantially enhance our operational capabilities. The new aircraft will bring with it new strength. 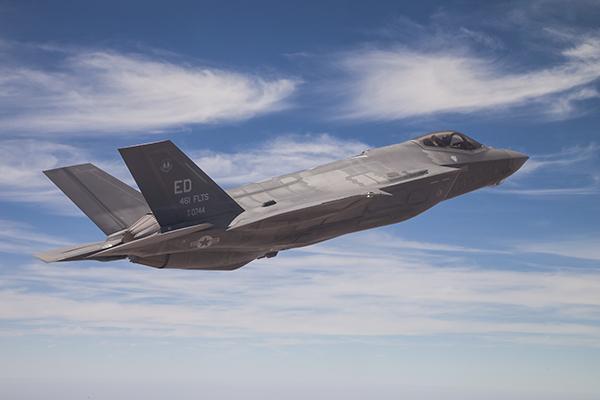 There is no doubt that the F-35 will become an integral part of our defense system and allow us to better ensure the safety of our civilians - against our hostile neighbors, and against the complex threats which may escalate at a moment's notice". The Chief of Air Staff added. "I don't think that it is an exaggeration to say that the presence of the F-35 in the Middle East will change the dynamic of the region for the better". IAF Chief of Air Staff: "We want to reach 75 jets"
The Minister of Defense, Avigdor Lieberman, who will lead the Israeli delegation to the rollout ceremony, said that Israel's intention is to equip itself with at least 17 additional F-35 jets that will join the 33 jets whose purchase has already been agreed upon. In the last few months, the Chief of the General Staff, Lt. Gen. Gadi Eizenkot approved the IAF's recommendation to raise the number of Israeli F-35 jets to 50. "Every opinion I have heard says that this is the best jet in existence today, and we will do what it takes to buy the additional jets", said Lieberman. "Advancing toward a new deal depends of course on the American aid deal which is being discussed currently, but my stance is clearly in favor of purchasing the jets". The Head of the IAF Chief of Air Staff, Brig. Gen. Tal Kelman, who will also participate in the rollout ceremony today, sees the first 50 jets as an intermediate station. "We want to reach 75 jets", said Brig. Gen. Kelman. 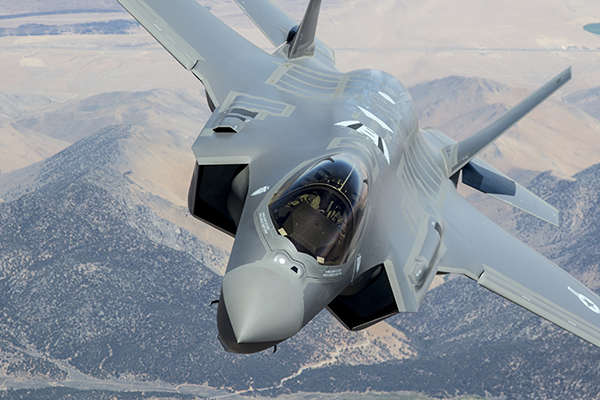 "The Israeli F-35 is the first fifth generation fighter to arrive in the Middle East, and it will allow us to open a significant gap in our abilities when facing all of the elements in the area". According to the Chief of Air Staff, the IAF is already examining the F-35B model equipped with the ability to take off from very short runways and land vertically. "We want the first 50 jets to be A models, but beyond this, we are examining the options. 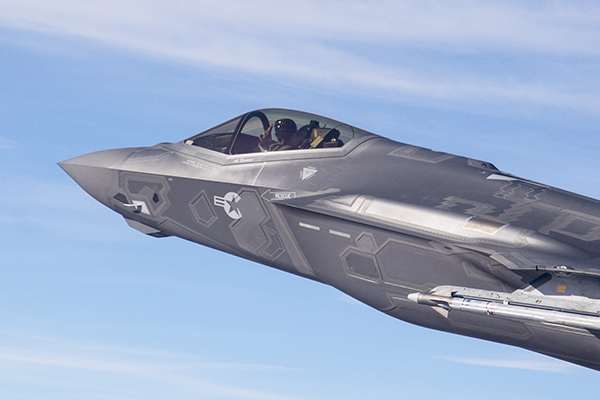 The F-35B may be limited relatively to the A model regarding the amount of munitions it can carry, but has other advantages that may aid us in different scenarios". The preparations leading up to the arrival of the "Adir" in Israel have been in progress for a few years and today they are in their peak. "Suddenly we have begun feeling that it is approaching. There is a plane. It has become tangible", shared Lt. Col. Yotam, the Commander of the "Golden Eagle" Squadron, which will receive the "Adir". "Apart from that, it is good to see that there is no delay, something very common in large, multi-participant projects such as this". The "Golden Eagle" Squadron's technicians are currently in the "Lockheed Martin" factories in order to learn about the jet's maintenance, and about a month from now, the first mission of pilots will travel to the USA for conversion training, and will return a short time before the jets land in Nevatim AFB. "The preparation for the arrival of the jet hasn't ended yet, and we don't have much time, but besides aircrew members, a force designated to prepare and make sure that the jet we see today receives the best maintenance possible will stay here", said Lt. Col. Yotam. Now, the aircraft is expected to undergo a series of comprehensive tests in the USA in order to make sure that it is fit for flight, and will even take off for a test flight, operated by an American pilot in order to check its abilities when facing the pressure put on it. About two weeks later, the second "Adir" is expected to come off the assembly line, and according to schedule, the series of tests are expected to be completed by the end of November, just in time for the jets to embark on their journey to Israel. "The IAF is expensive and there's a reason"